Should there be a one-to-one mapping between your tests and production code? As with many design decisions, there’s no clear-cut answer. One thing is certain: you should treat your tests with the same respect you treat production code—including refactoring them when needed. 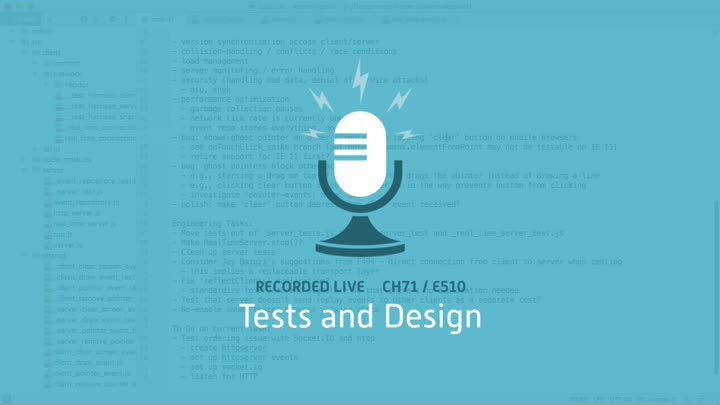 We explore test design questions, then start refactoring our server tests.